Earlier this week, I ran across an interesting article over at Investor Junkie. In it, Larry described the destruction of his Long Island rental property by Hurricane Sandy. One of the most interesting points in all of this (at least to me) was that his renter did have a renter’s insurance policy, but their losses weren’t covered since they were due to a flood. I’ve talked about both renter’s insurance and flood insurance in the past, but I’ve never really made the connection between the two. 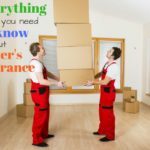 As most of you are likely aware, tenants typically need renter’s insurance to protect their belongings. 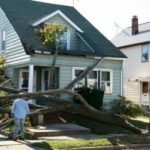 The reasons for this is that the landlord’s insurance policy is intended to insure the structure itself, not the contents. At the same time, many of you know that standard homeowners insurance policies don’t cover losses due to flooding. Rather, you’ll need to buy a separate flood insurance policy for that. We have, in fact, carried both renters insurance and flood insurance at various points in the past. But never at the same time. When we’ve rented, we’ve been high and dry. But the first house we owned was (somewhat) near a river. While that house wasn’t in the flood plain, it was close enough that we carried a flood insurance policy. Honestly, it never really occurred to me that, if you’re renting in a flood-prone area, you need to carry both renter’s insurance and flood insurance. But you do — if you want to insure your belongings against all possible losses, that is. And please keep in mind that it takes 30 days for a flood insurance policy to kick in, so you can’t wait until the storm starts brewing to buy coverage. @omar – that’s strange since USAA sells flood insurance separately? 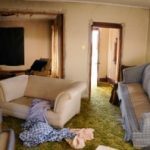 It should also be noted that damage from earthquake needs to be insured separately as well. @jim how many fallacies can you fit into one comment? Anecdotal evidence (“I never used it, therefore nobody needs it”) and unfounded assumptions (“only poor people with few possessions rent”). Sorry – when we were renting we didn’t have the $ to pay for renter’s insurance or flood insurance. Guess what? 35 years later – we never needed it once – not one time. Save your $, take the chance. When you’re renting you really don’t have anything valuable enough to insure. This is just one more way the insurance guys try to take $ out of your hands – totally unnecessarily. Unless you truly are in a flood area – keep that $ and invest it for your family’s well-being. In NY there is a 5% deductable based on the replacment value of the structure. Insure you home for $500,000 and you have a deductable of $25,000. Not great. Hi Nickel, thanks for mentioning me. 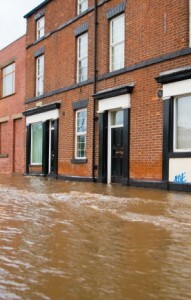 Yes it’s true, renter’s insurance does not cover floods.